Yantai Quanyuan Food Co., Ltd.
"The arid climate last year in Shandong province, not only caused a reduced yield of Fuji apples by 10-15% over the previous years, but also led to outbreaks of diseases and insect pests, which directly affected the size of the apple in the growth stage, and the number of inferior fruits has increased. 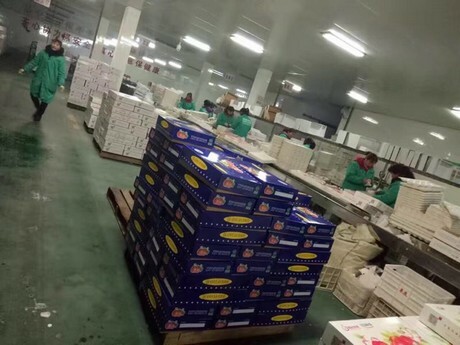 In terms of export prices, which have been rising since the Chinese Spring Festival, the current export prices rise is about 10%-15%, compared with the same time last year," stated Mrs. Jiang from the Yantai Quanyuan Food Co.Ltd. 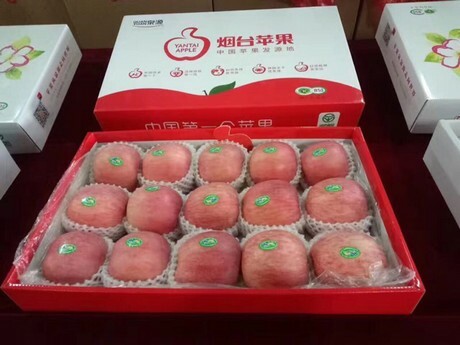 "Our company is located in Qixia city, Shandong province, and we mainly deal in Fuji apples. We have our own base that covers an area of 500 acres and 6700 acres of cooperatives, as well as a cold air reservoir and a gas reservoir, which can reach 50 thousand tons of storage capacity in total. In terms of sales, our annual sales volume is about 45-50,000 tons, 80% of which is sold under the brand of 'Quanyuan' to the Middle East, Southeast Asia, Europe and Canada, and another 20% is sold to the Walmart and Carrefour supermarkets and wholesale markets of the first and second tiers cities through on-line sellers such as JD.com, Taobao, Tianmao, etc. "Generally speaking, the export volume this year is relatively stable compared with last year. Although, the exports to Indonesia have been reduced, due to the quota stipulation, the exports to India and Pakistan are significantly better than in previous years. From 2003-2008, our export market was dominated by the European market, which had large demands and stable orders. After 2008, with the coming of the economic crisis in Europe and the growth of domestic planting and the costs of related raw materials, the market competitiveness of our Fuji apples gradually weakened in Europe - some market share was replaced by Holland, New Zealand and other countries. In future, we hope to have the opportunity to rebuild the European market and work together with local distributors, supermarkets and wholesalers to build a better future." "As a major agricultural province, Shandong local government has given us strong industry support and, not only provides us with the relevant technical training, but also gave us the opportunity to create a timely understanding of market information. In addition, the quality and the price of our Fuji apples are relatively stable, and we also have a stable customer base. With the unique brand advantage, I am confident that our high quality apples will go farther and farther in the domestic and foreign markets." 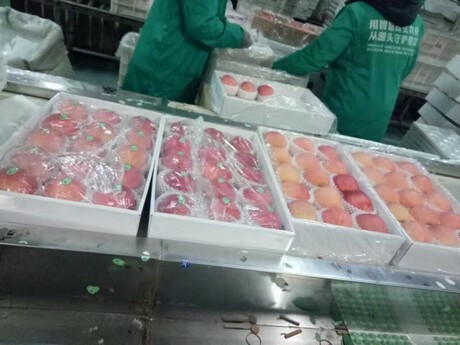 2019-04-15 Spain: "It didn't go well for winter fruit but stone fruit is eagerly awaited"
2019-04-01 China: Average fruit prices rise for "6th consecutive month"